Recent research has found that the Earth's finely balanced oceans may be a consequence of the anthropic principle – more often used in a cosmological context – which accounts for how our observations of the Universe are influenced by the requirement for the formation of sentient life. Simpson's model predicts that most habitable planets are dominated by oceans spanning over 90% of their surface area. This conclusion is reached because the Earth itself is very close to being a so-called 'waterworld' – a world where all land is immersed under a single ocean. "A scenario in which the Earth holds less water than most other habitable planets would be consistent with results from simulations, and could help explain why some planets have been found to be a bit less dense than we expected," explains Simpson. Animation above shows how the Earth would appear as the amount of water in its oceans increases. Only a narrow window exists in which large areas of both land and water are present. 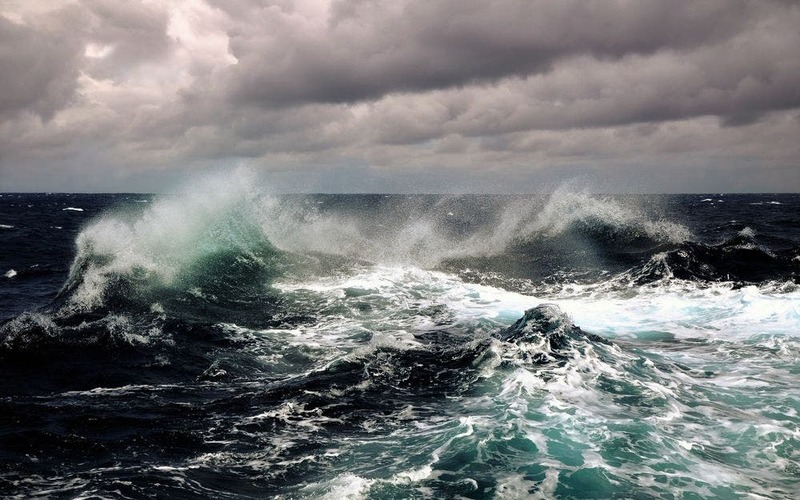 "Based on the Earth's ocean coverage of 71%, we find substantial evidence supporting the hypothesis that anthropic selection effects are at work," comments Simpson. "Our understanding of the development of life may be far from complete, but it is not so dire that we must adhere to the conventional approximation that all habitable planets have an equal chance of hosting intelligent life," Simpson concludes.